I write, but I’ve always felt awkward calling myself “an author.” Authors live somewhere in Vermont or Cape Cod or Colorado with their three kids, just writing books and getting paid. With my latest project, I wanted to kick the can a little further down the word-slinging road. I wanted to write a story, like authors do. Book deal or no book deal. If you google “How To Get Published,” you’ll find all kinds of resources for book proposals, pitches, finding agents, building your platform, and all that. It’s all necessary but if you can’t write a book worth reading, none of that matters. The insane, one-(wo)man, one-way process of writing a book is hard to explain for those who have never done it. The majority of time writing a book is you not writing your book, whether through procrastination, self-judgment, loss of theme or loss of steam. Oftentimes, the blinking cursor’s limitless jabs, the abyss of a blank page or the weight of conflicting arguments swallows up all hope. And yet, you find a way forward. After months and months, sentences slowly added up, arguments treaded water, and a story’s arc could loosely be seen on the hazy horizon that was the end of my tale. In June 2015, 8 months after I began, I wrote “The End” to my knowingly bloated, 100,000 word (~400 page) book. But it was done. My precious! I sent it to my good friend, colleague, and no-sugar-coating-will-be-on-this-feedback kind of guy, Antonio Neves. Hmmm. My book was sufficient. I could take the blue pill, self-publish, my readers would like it, and I could move on. Or. I could take the red pill and see how deep this rabbit hole goes. But an editor meant time, money, and judgment. Not exactly the “feel good” trilogy of life, especially when buttressed right behind the self-flagellation that was: writing a book in the first place. It was understandable that my ego was hesitant to pay to have its innards ripped open. And worse, what if I shelled thousands of dollars for an editor and then still didn’t get a book deal? Planned temporary discomfort. It’s kinda my thing. Having no idea how to find an editor, I reached out to my community and a friend recommended an agent, Alice Peck. We chatted on the phone a bit, I sent her samples and a video of the journey the book represented. She was in. Alice’s costs were not crazy but it was a serious investment. A dollar amount where a comma is involved. She had a few other books to finish so I had a couple months to make internal edits to my manuscript. I pruned, sheared and tidied all that I could. On September 13, 2015 there was nothing else to fix. I sent it to Alice. Immediately, I wanted to throw up. This baby that I created and nurtured was now out in the world without me to defend it. I was depressed and creatively aimless. I wondered what kind of a red-pen shellacking my book was enduring. I paced and prepped my verbal triage unit to stitch together whatever bloodied, wounded, and potentially amputated literary child Alice would leave me with. I heard back from her on October 25, 2015. She liked it. Oh thank god. But she had some notes, thoughts and suggestions. Oh no. Let me see him! There was blood…everywhere. Not one inch of his body was clean. But while at first glance it looked like cuts, it was really suggested sutures and surgeries that made my story look (could it be?) better. She hacked off thirteen thousand words. It was cleaner, more buoyant and these shoes, where did he get these shoes? He looks great! However, Alice also pointed out gaps and weak points. She challenged me to revisit the creative well and think about the structure of story, backstory, of “show don’t tell,” which, if I handled correctly, could turn my child into a toddler and hopefully a young man. And so I took this still far-too-ratty-for-public child back to the lab…for three and a half months. Over that winter I wrote, re-wrote and labored for hours over paragraphs whose cohesion I couldn’t quite make work until finally it slid into place after the removal of a word, or a recombining of phrases. It was like searching for a piece to a puzzle whose image kept changing. I was exhausted from reading things so many times that I started to be numb to it. Losing sleep over commas and em dashes. It was all I thought about in my free time. I was a madman. On February 9, 2016, I knew that it was the best version I could ever create. I couldn’t believe how far the manuscript had come since the previous October. Already the decision to hire Alice had paid dividends. I sent it back to her. On March 14, 2016, I heard back. “Whatever you brought to this draft, I wish we could distill and bottle it.” God that felt good. Knowing that I had someone to reign in my raging bull allowed me to write brazenly. But still, the red ink was there on every page. She called out all my lazy sentences, all my gaps in plot, all my contradictions of tense, subject or theme. I remember Antonio telling me, “You pay for the red ink!” He was right. Alice was a pro and the red ink was her wand. For those who’ve had multiple edits to their work, you know how hard a third major go at your manuscript is. You’re done. You want the alms, the claps and the accolades already. You don’t want to go back to your tiny desk, all by yourself and clarify who you meant by “they” in a random sentence on page 114. But I did. I took one more swashbuckling stab at it and came up with prose that bounced and danced together so well that when it clicked, it reminded me of the joy of hitting a golf ball clean and pure. There’s a strange feeling of being impressed by something you wrote and having no recollection of when you wrote it or how you came up with it. It was like these words were sculpted by multiple artists in me, at different times; each one contributing something to the final piece. The writing process isn’t a manifestation of what you’ve discovered, it’s a discovery of what you’ll manifest. 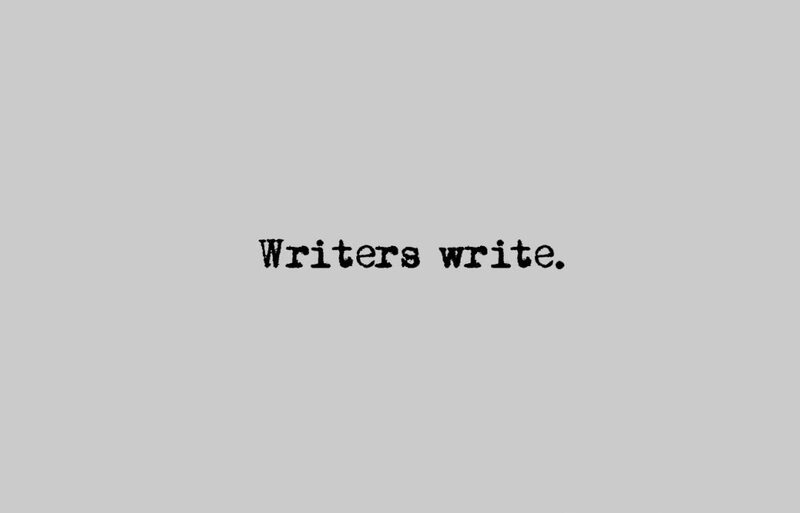 Writing is an unearthing of words, not a transcription of them. Writing is part 3-D modeling and part sculpting. Both creative processes are happening at the same time. Adding the form, theme, style plot from within, and chiseling away lazy, excess, and contradictory writing from the outside until they meet somewhere in the middle to reveal your masterpiece. I sent Alice my third update on April 25, 2016 and on May 17 she wrote me back. She was thrilled with how far we’d come. She had a few last knots for me to tie, and some lint to roll before we could get it out to agents and publishers. A year and a half of writing and re-writing was all it took to pen an 87,000-word child named Borders, Bandits, And Baby Wipes: 10,000 Crooked Miles Between Two Points, who was now ready for the world. Coming soon, Part 2, about the search for an agent, the communication black hole, the breaking point, the Hail Mary, and the unexpected choice I had to make under a ticking clock.